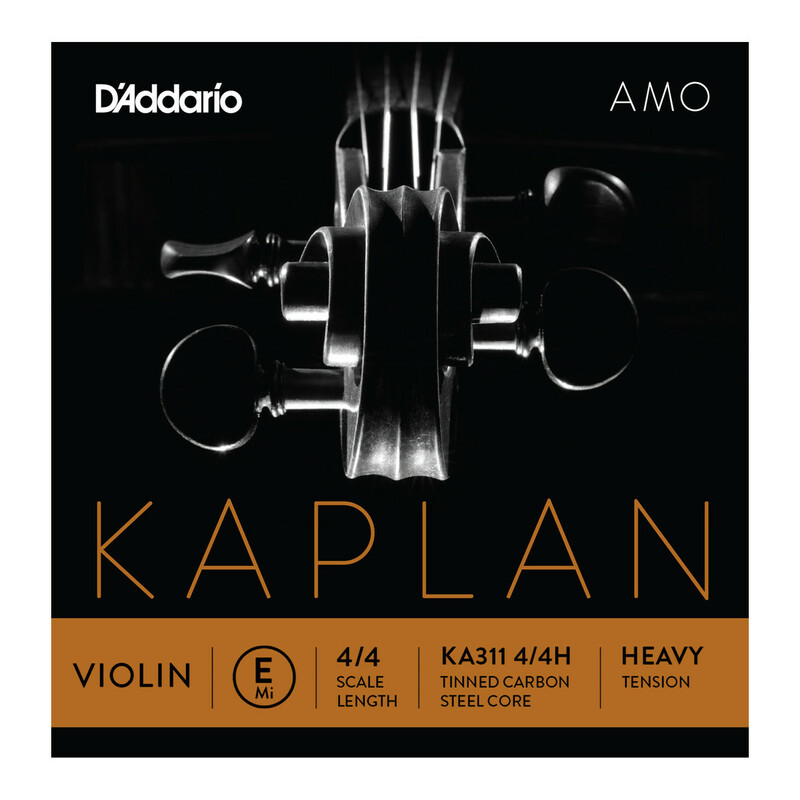 The D'Addario Kaplan Amo Violin E String is ideal for advanced musicians requiring a clear sound. The steel core produces a bright, direct tone with focused high frequencies. The heavy gauge tension is ideal for musicians requiring a loud projection and have a heavy bowing arm. This model is left unwound for a more direct sound and ease with vibrato. The Kaplan's short play-in time is ideal for gigging musicians who require instant performance. This string features a ball end and is designed for full size violins. The D'Addario Kaplan violin strings offer professional level players an unrivaled combination of sonorous tones and projection. Designed for instruments that naturally sound bright and brilliant, the Amo strings present richness and flexibility to the sound, resulting in a powerful tone. Whether if you're performing with a bow or from your hand, the Kaplan strings respond instantly for balanced note projection. With a short break in time and excellent bow response, D'Addario Kaplan strings provide continuous quality and innovation to musicians.